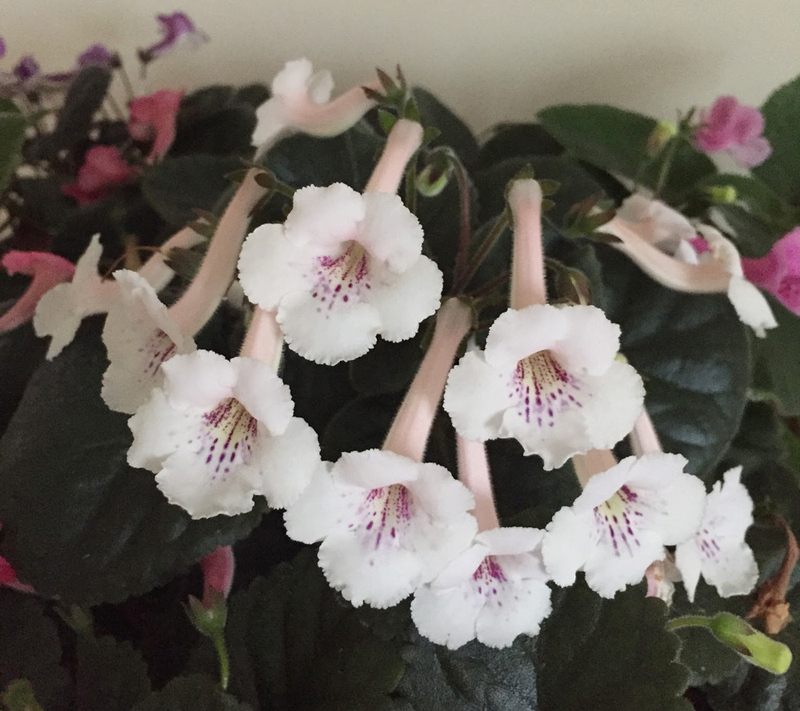 This creamy white beauty is from the last cross of miniature Sinningia I made 2 years ago. It was an experimental combination by Pirate's Monster Bite and a light blue hybrid that I made in 2006. 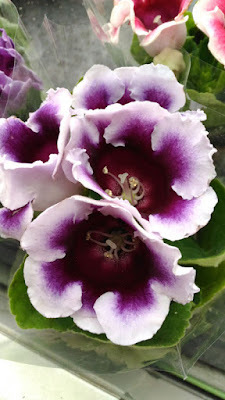 I believed this cross can happen something or nothing as I prefer not to do foreseeable hybrids that I had done a lot in the past years. 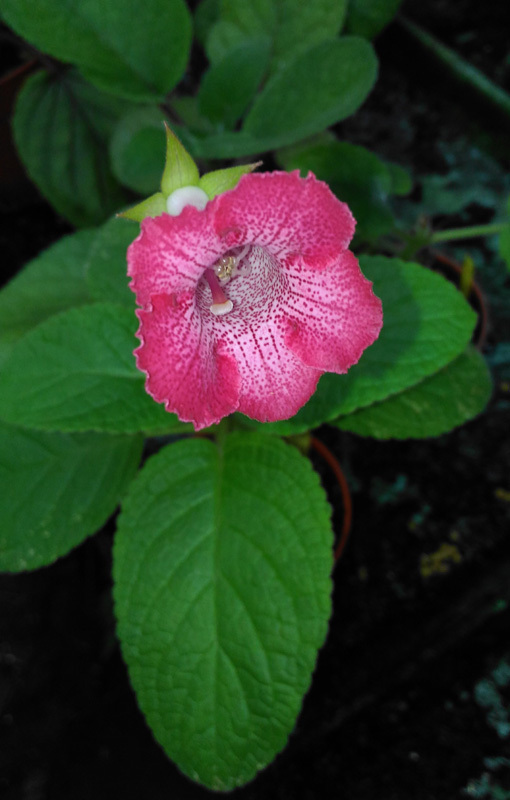 Finally I only selected 2 seedlings, one is still under my evaluation and the other one is this new introduction 'Pirate's Ice Age'. 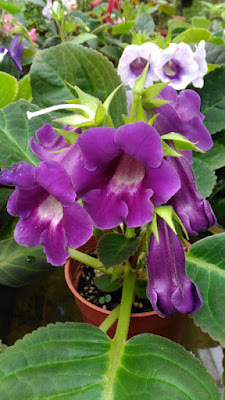 First of all, I appreciate Mr. Francis Sua who grows this plant well and allows me to use his photos. 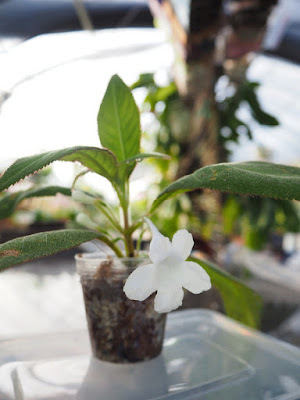 Check his small but delicate garden HERE. 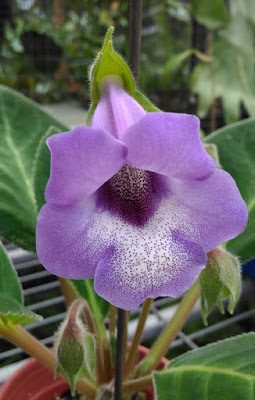 'Pirate's Ice Age' looks similar to my very old hybrid 'Pirate's Panguno Rakaso' which was announced in 2007. 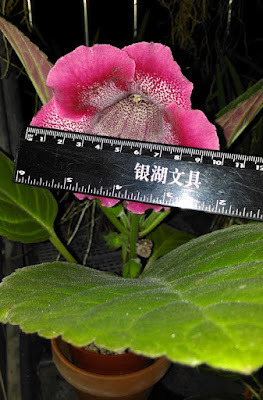 Just a little bit difference in color details but the good things are 'Pirate's Ice Age' is a good bloomer and a strong plant in growth in comparison with 'Pirate's Panguno Rakaso'. The color part of 'Pirate's Ice Age' is changeable according to different growing condition and temperature. As we can see this lovely Codonoboea puncticulata combines both beautiful flower and variegated foliage, it is a miniature perennial herb with continuous growth. The Gesneriaceae members in SE Asia still amaze me by their unique looks. 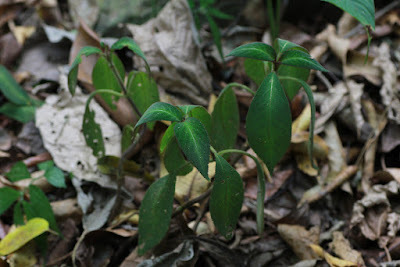 Various Sinningia speciosa in hot June. 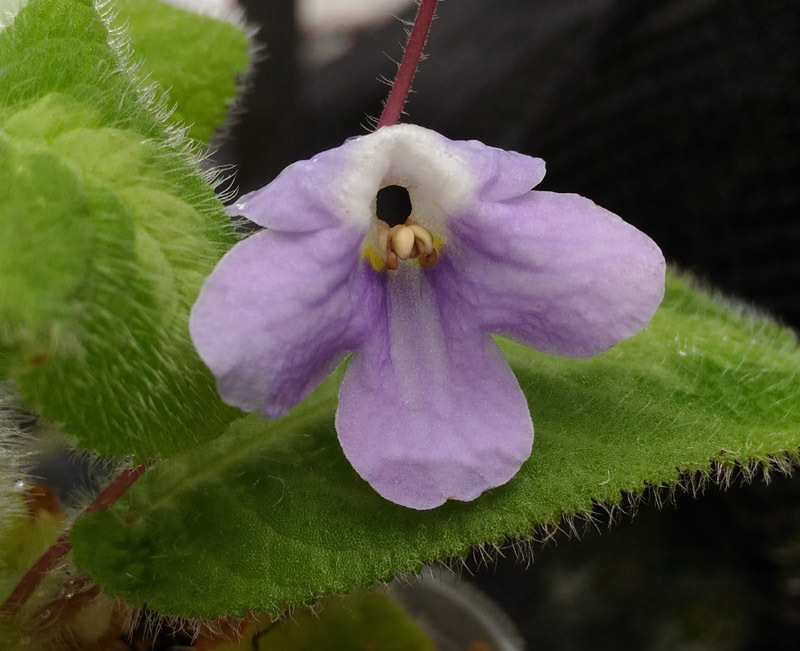 Again, it's the happy time for Episcia ... they are growing stably and I just add some fertilizer to enhance the growth. 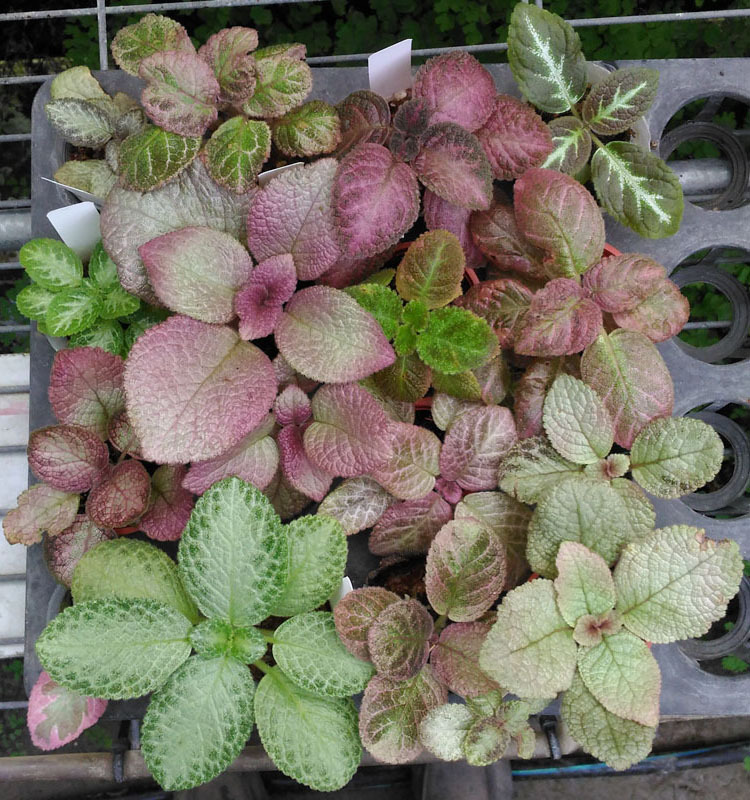 All these plants are from friends, and I find they have lighter color for this summer. 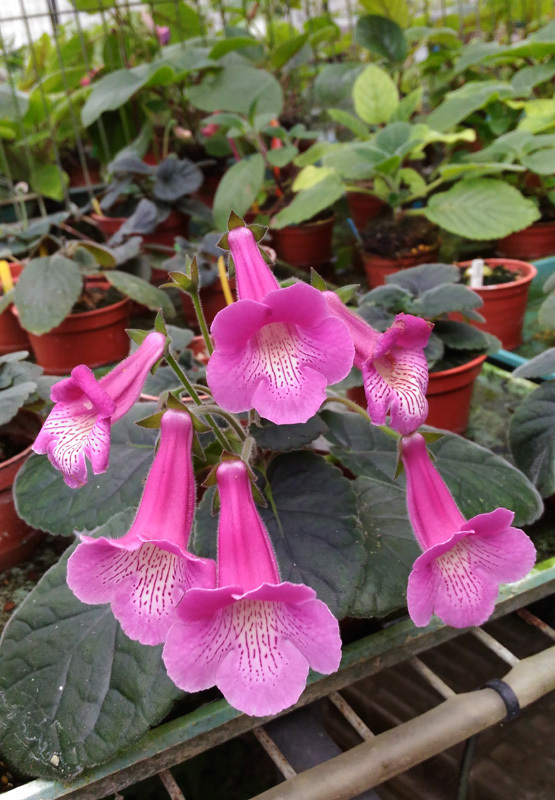 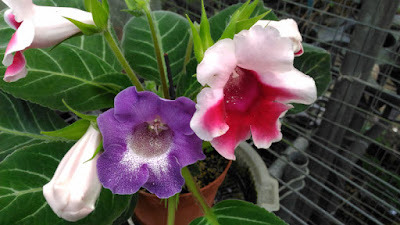 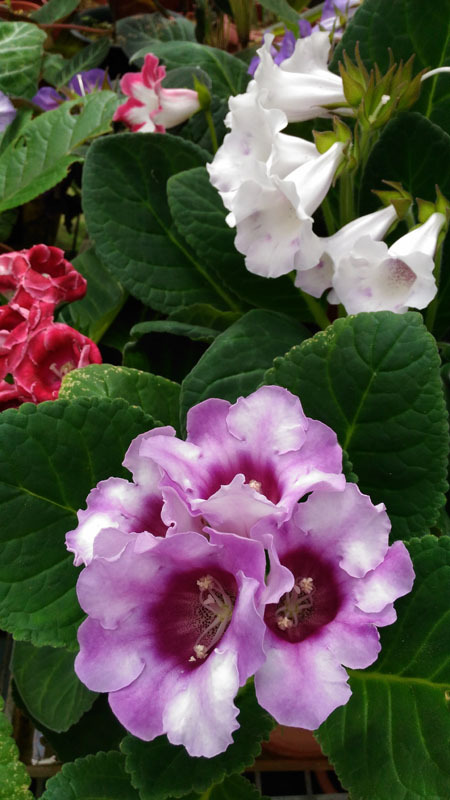 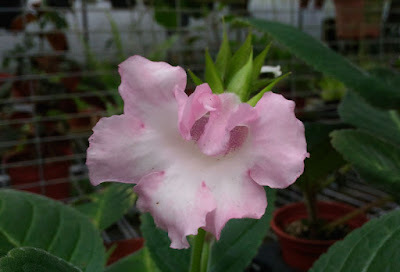 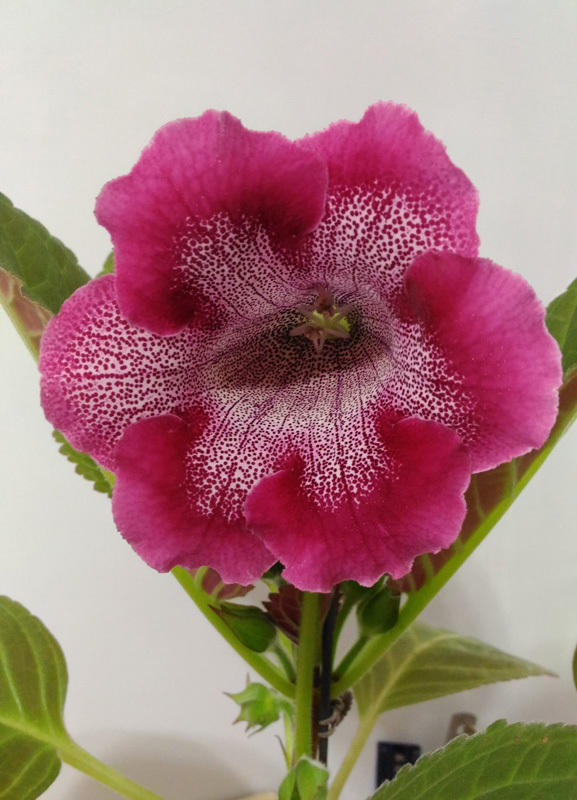 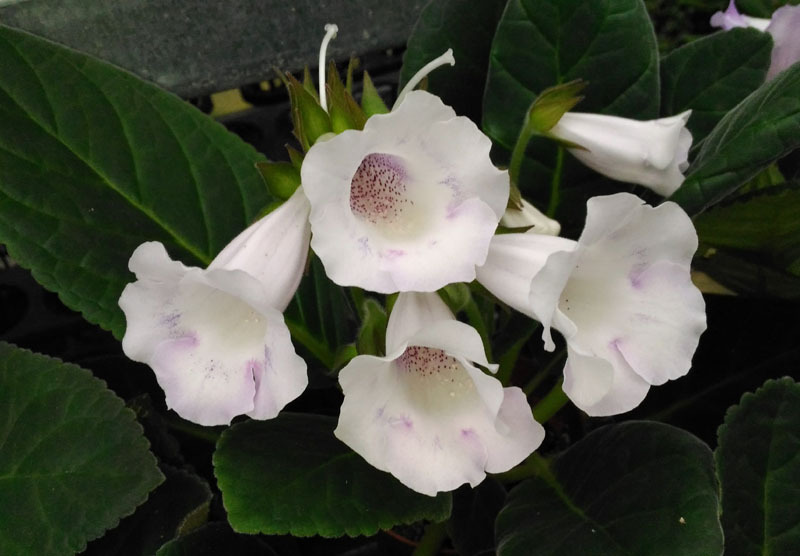 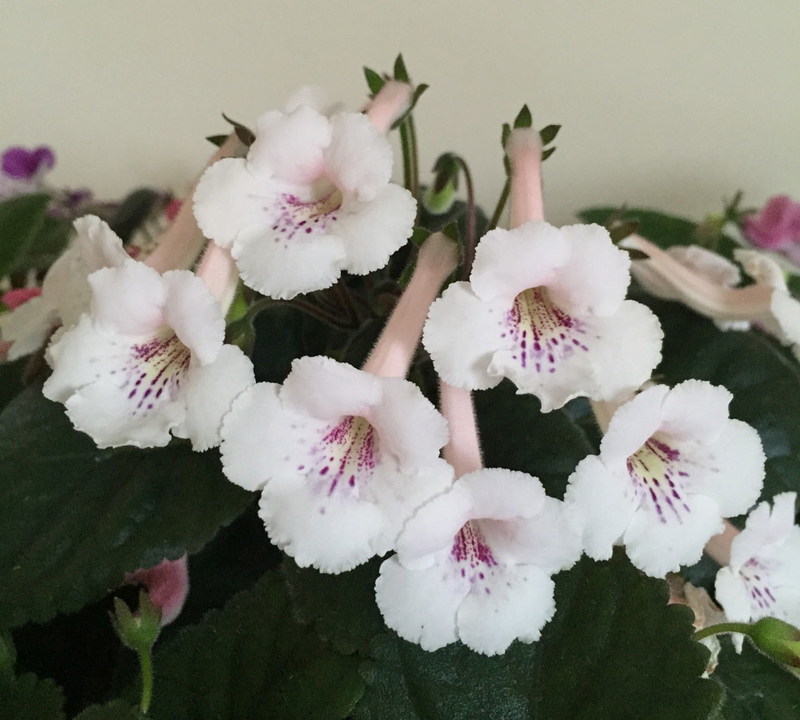 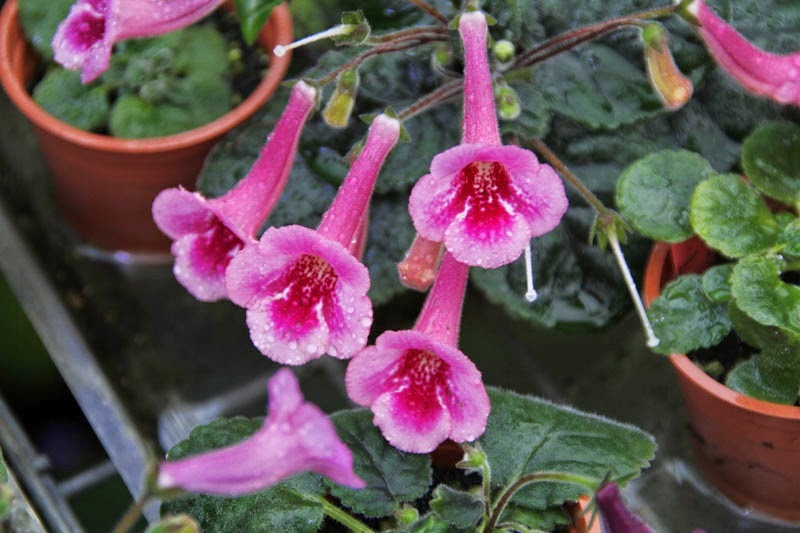 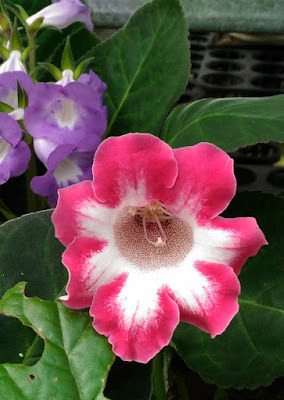 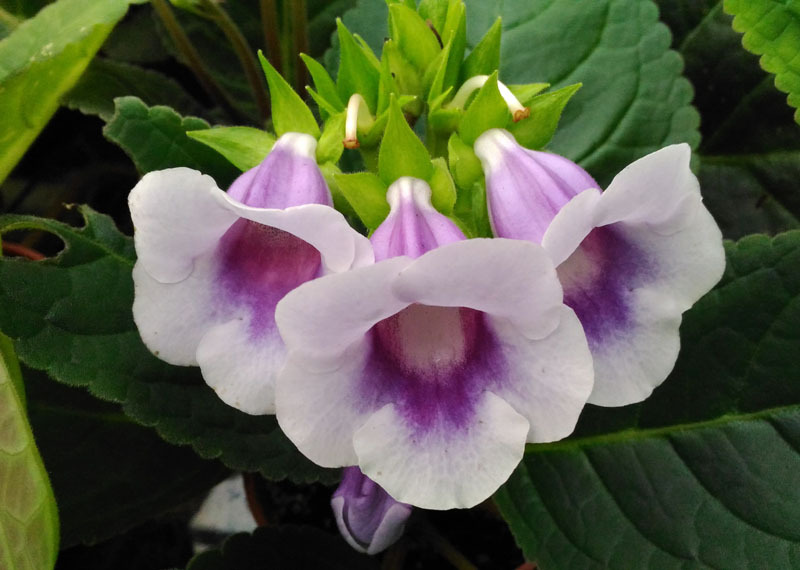 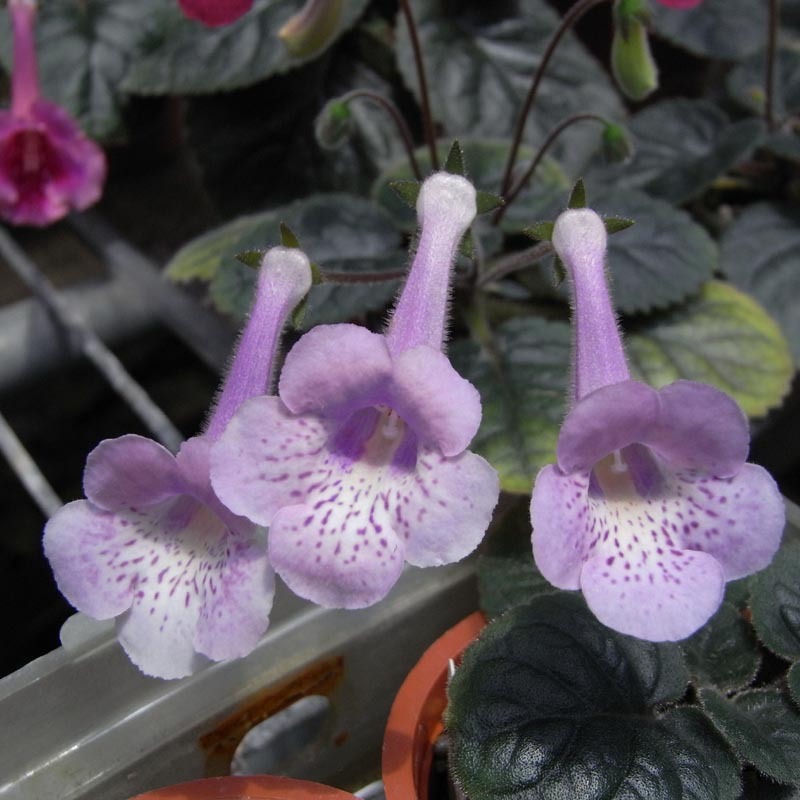 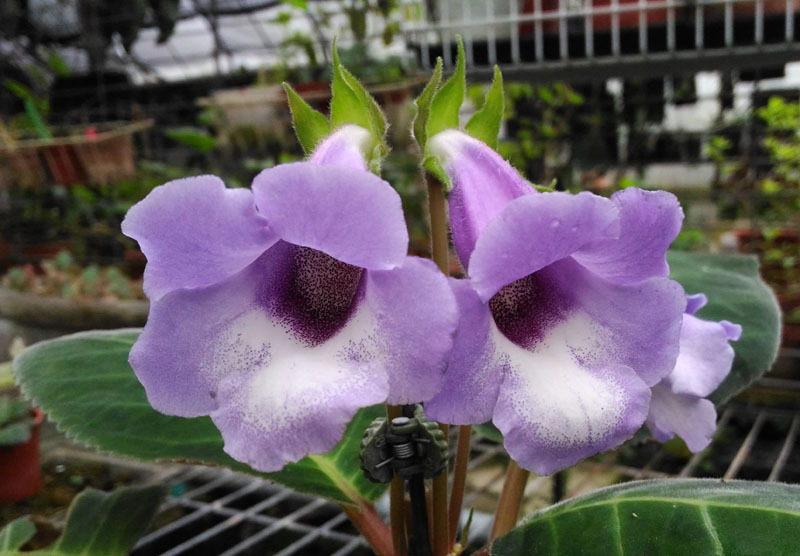 The reasons that I like to travel in Southeast Asia, not only it is near home, but also there are many pretty Gesneriad plants that are lesser known by the Gesneriad lovers. Although this plant looks like a Henckelia, but it supposes to be a Cyrtandra species which was found during my trip to Sabah, Malaysian Borneo. 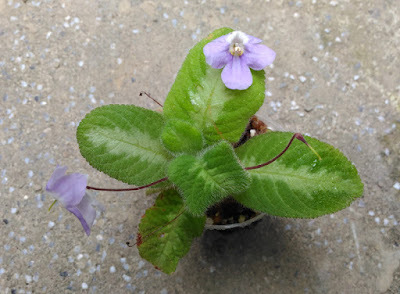 Due to less study and papers about this genus, any comment about the ID will be much appreciated. 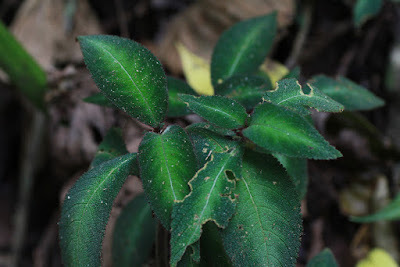 I found it in Tambunan district, I don't exactly know how big is its population, but at least I found it thrives along a small stream. 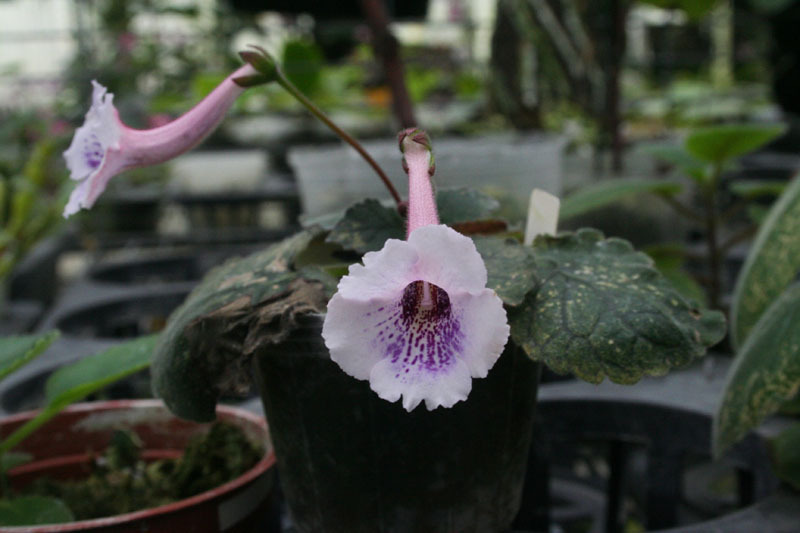 This asian pacific genus 'Cyrtandra' is a big family that comprises many unidentified species and it is the largest genus in the family Gesneriaceae. By the way, Tambunan has idyllic inland countryside scenery, lovely people and it is a famous district for the rice production. I met this plant in dry season, it seems ok to pass through the drought by using the little moisture from flowing stream. The leaves are weak and a little dehydrated due to the dry season.